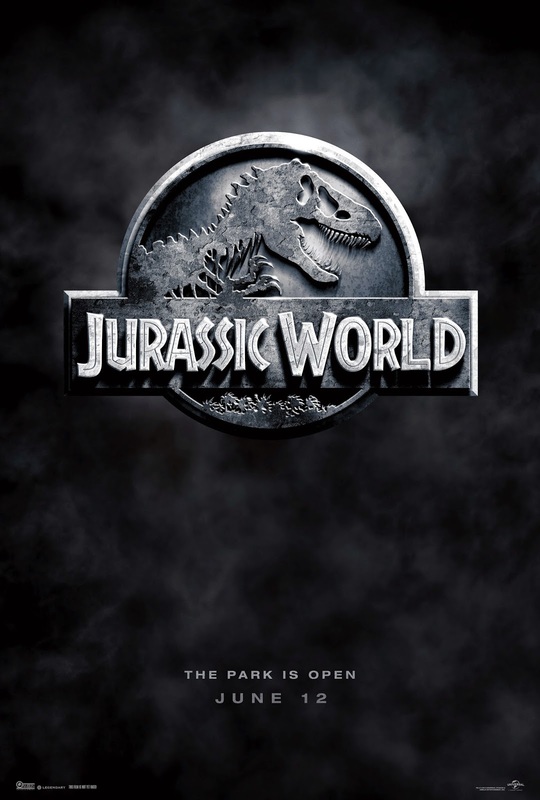 The fourth installment in the blockbuster monster flick series 'JURASSIC PARK'; which director Steven Spielberg began in 1993 (he serves as an executive producer on this movie). Successful indie filmmaker Colin Trevorrow (who also directed the 2012 quirky time traveling comedy flick'SAFETY NOT GUARANTEED') directed and co- wrote the movie (Rick Jaffa, Amanda Silver and Derek Connolly also worked on the screenplay). It stars Chris Pratt, Bryce Dallas Howard, Nick Robinson, Ty Simpkins, Vincent D'Onofrio, Irrfan Khan, Omar Sy, Jake Johnson (who also co-starred in 'SAFETY NOT GUARANTEED') and BD Wong (the only returning cast member from the original film). The story is set 22 years after the original movie, on the same island, where a new Jurassic park has been successfully operating for ten years. When scientists decide to create a new breed of dinosaur, in order to boost declining sales, things once again go disastrously wrong. The film had the biggest opening weekend of all time, at the global Box Office, making over $500 million worldwide (which is an industry first). It may not be the greatest film of all time, but it is a fun movie! Jurassic World has been a successful theme park for 10 years, but sales are starting to decline. It's up to operations manager, Claire Dearing (Howard), to boost sales again. The company's owner, and CEO, Simon Masrani (Khan), has asked the genetic scientists, working for him, to create a new breed of dinosaur; to attract more tourists. The new monster they've created isn't really a dinosaur though, and it quickly figures out a way to escape it's confinements, and wreak havoc on the park (and it's guests). Claire enlists the help of an expert Velociraptor trainer, named Owen Grady (that she once dated), to help stop the 'indominus' creature. The film is full of a lot of great monster fights and violent attacks on tourists; it's got all of the thrills, and gore, that fans are looking for. Once again the human characters aren't as interesting. Bryce Dallas Howard is really good in the lead though, which is by far the most developed character, and she actually gives one of her best performances. Chris Pratt is really funny, and very likable, as the action hero lead (and I definitely agree with all the Harrison Ford comparisons). I also really like his relationship with the Velciraptors (which is my favorite part of the movie). I think any animal lover, like myself, will definitely love this film. It's not as good as Spielberg's classic original, of course, but it is the best of the sequels and a really entertaining movie!